ISO stands for ‘International Standards Organisation.’ ISO containers are designed for the shipping and transportation of goods. An ISO container is resilient and reliable for repeated use. They are designed to be easily filled or emptied, and they are constructed according to the quality criteria and dimensions set by ISO standards. Most containers are made in China and used to ship cargo into the UK on a single trip. This is the most common type of “new” shipping containers in the UK. The most commonly used ISO container is the 20’ standard unit, and because of its design characteristics makes it ideal for a multitude of uses. 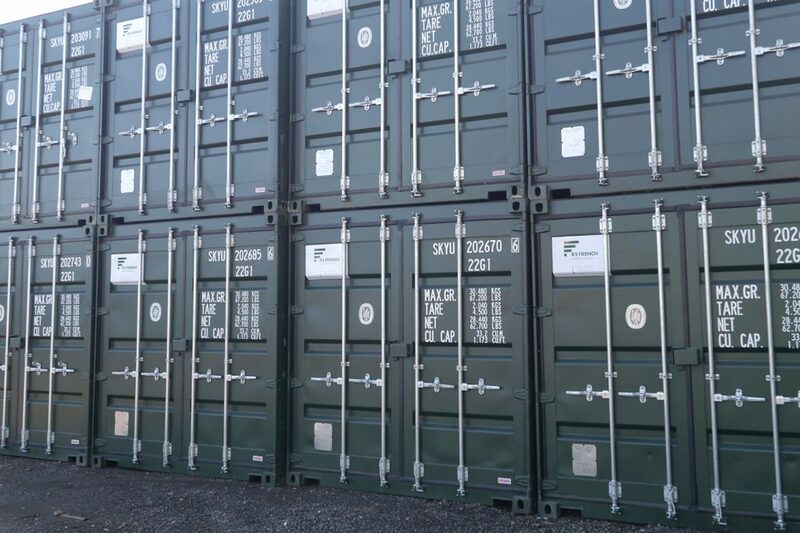 20’ is the most common containers sold by RS French, this is because it is the most cost-effective, however, other sizes are available and usually kept in stock. Custom sizes are also available, by modifying the container in our workshops. The majority of our sales are from our depot in Waterham, South East Kent. Based an hour from London in Kent, 15 minutes from Canterbury, between Whitstable and Faversham, just off the A299 providing an excellent location for serving the South East. However, we can serve the whole of the UK with stock available in 14 major UK locations.